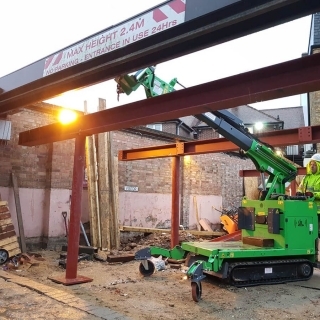 The Hooka got called in to a huge 30+ section I-Beam, steel portal frame structure in Woodford Green for Hillard Wright. 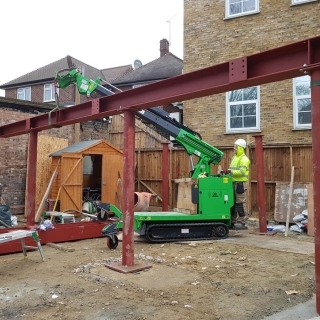 The job involved erecting steel columns and then assembling the complete second storey labyrinth of heavy RSJ I-beams 2.2 metres up in the air, on top of the steel uprights. 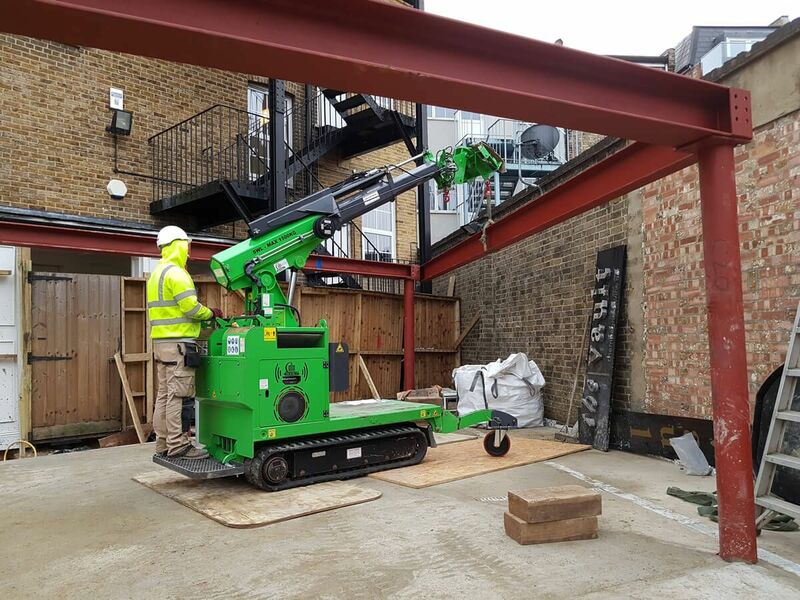 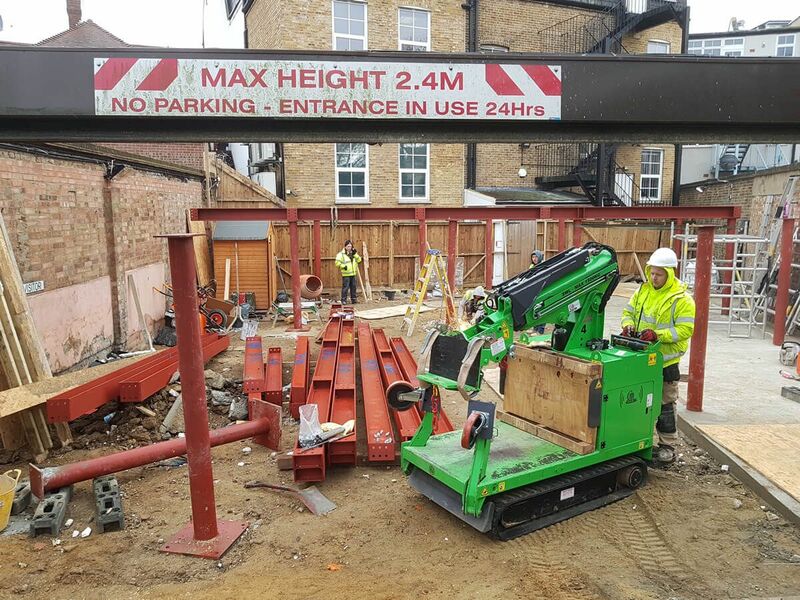 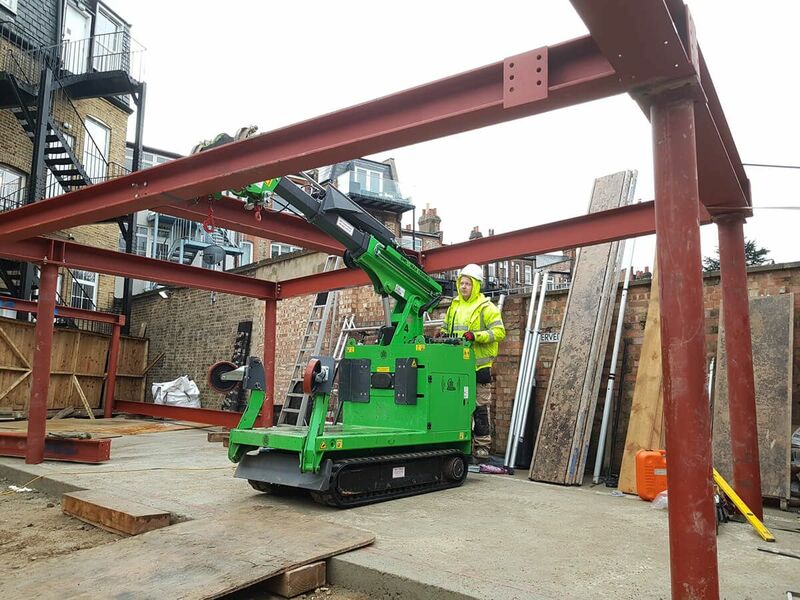 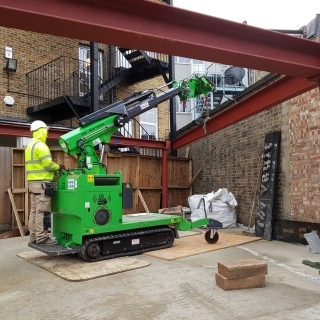 The Hooka’s capacity to lift steel RSJ’s of up to 1.2 tonnes to a height of 3.4 metres got the job done smoothly, quickly and safely! 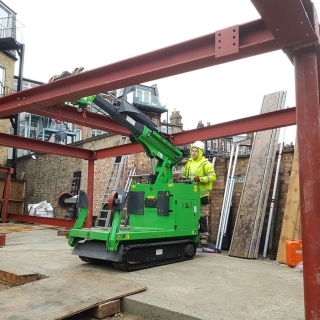 The Hooka’s ability to operate in tight spaces, and beneath a height of 2.1 metres, meant it could move around under the steel sections it had already erected. 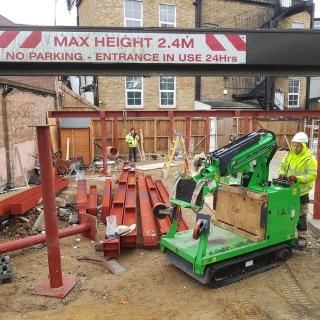 This enabled the machine to deliver and install the heavy steel beams right into the corners of the restricted access site. 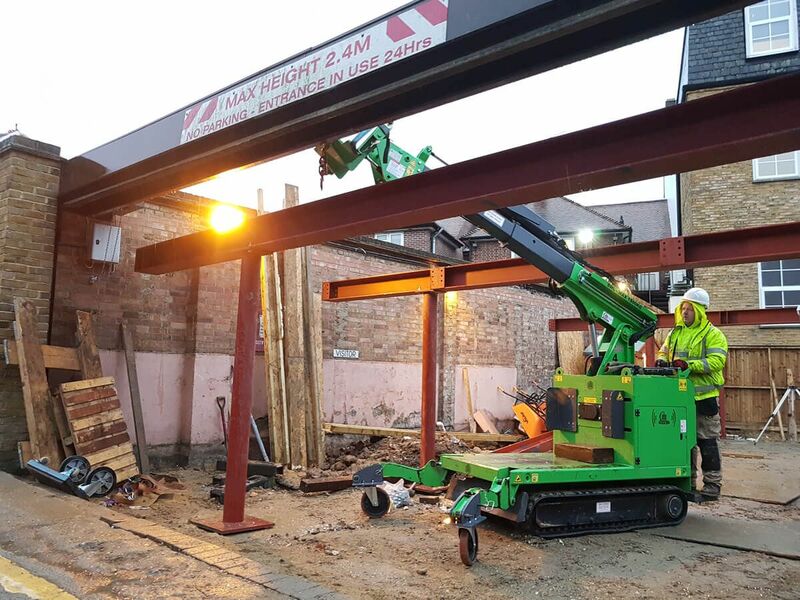 In total over 30 steel pieces were assembled in just two days of work time. 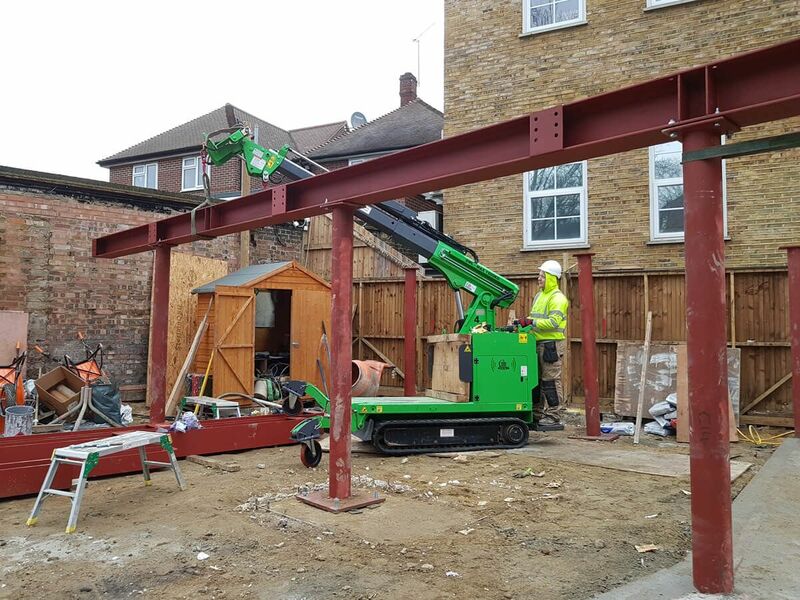 Another portal steel frame completed and a further satisfied customer.